You tube has several versions of the gospel in chairs. It contrasts the gospel of the early church with some of the emphasis that has crept into evangelical circles over the centuries. Harold Eberly did a version of it at his summer conference that is very profound. We’ll get it on you tube and provide you the link when it’s available. The link above is a 25 minute start to give you the flavor… Harold’s is much better. 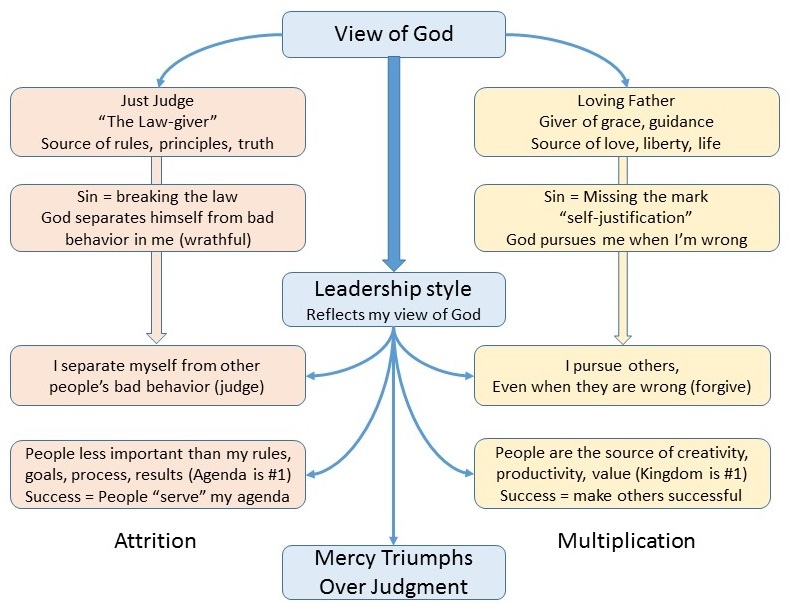 God as Judge – Our less-than-Biblical tradition views God as a judge, the keeper of the books of justice who keeps a legal accounting of sin and atonement to make sure everything is covered. Many theologians, like John Calvin, were lawyers and described salvation in legal terms. The offshoot is that we are prone to view God as someone who hates sin and turns away from it until we repent and get our act together. Condemnation is the sense of being rejected by God. Most evangelicals struggle with behavior based issues and rule violations (sin) throughout their walk with God. They/we have viewed God as turning away from our sinful tendencies and separating himself from us. God is not primarily a judge by nature because he’s the one who has pursued us… since the beginning. This view tends to portray Jesus as sent from God to atone for sin… and somehow separate from God; the fall guy who took the hit for the rest of us. The reality is that the Father came to us Himself! Father God – It is the nature of God to leave the 99 and pursue the one. Jesus really was God. Emmanuel means “God with us”… the greatest example of God pursuing us. Jesus healed and forgave sins with a word and skipped the whole religious, sacrificial system. He went even further and somehow gave the disciples (and us) the same power to forgive sins. The scribes and Pharisees were particularly offended because He forgave people so easily and he described God as a Father instead of a judge. He said to call no man on earth your father because He gave us direct access to come boldly into the throne room whenever we wanted to. It was as amazing then and it is now. The Leadership Implication – Most of us have relationships as parents, managers or leaders in some capacity where we are “over” others. When we carry the responsibility of guiding the lives of others we naturally reflect the kind of leadership image we have of God. Since most of us were raised spiritually under a gospel that saw God primarily as a judge and a law-giver, we tend to reflect that image ourselves in our attempts to be “Christ-like.” The wrong gospel can actually cause us to act like agents of His wrath and judgment separating ourselves from hurting people and posturing ourselves as aloof, unapproachable and uncaring… Pharisetic and parasitic. Can you see why our management culture is inclined to be impersonal, egocentric, controlling, and authoritarian? Can you see why our leadership culture implies an expectation that good followers should lay down their personal agenda’s for the good of the group, the organization or the nation? Can you see the roots of “Christian communism” thinly veiled in politics and religion which suggest we should voluntarily surrender our freedom and free will to the dictates of centralized control? What is billed as noble and patriotic for the “greater good of the whole” is really just empowering a small ruling class while redistributing poverty to the masses who make it possible. The really good news – The real gospel does affect our management style in very tangible ways. Instead of control, we help people become successful by connecting their hearts to God’s path for them. Great leaders motivate people by touching what God has already put in their hearts. They do that by “listening” and putting relationship ahead of their own agenda. Intrinsic motivation in a staff is a leadership approach that can revolutionize any organization. A volunteer army defending the homeland is totally different than servants meeting their daily quota of bricks and straw to build pyramids for the Pharaoh’s ego. Our heart’s long to understand the “why” of our lives, Kingdom purpose. We are all designed to work on the dream God put in our hearts. 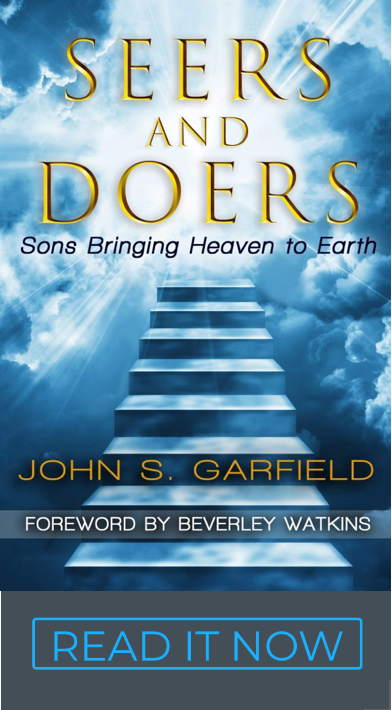 Creativity and entrepreneurial genius are released to build personal dreams, the Kingdom and impact the nations. The value in products and services multiplies the wealth of individuals, corporations and nations. We can’t have the centralized control of communism without the personal poverty and apathetic resignation to a victim mentality. This simple principle of treating people with enough love to engage their hearts gave us one historic reformation that blessed nations. We are on the eve of releasing a second reformation rooted in the same kind of leadership found in Jesus’ own example of the Father’s heart. Our leadership should reflect God’s heart to set people free instead of putting heavy burdens on them. The difference is night and day… one is liberating, fruitful, and world changing; the other is oppressive, critical, demoralizing and goes nowhere. One will make a company productive and profitable, the other is a cancer that will destroy any organization from within. The price tag – Leaders and corporations that have the Father concept of God and lead out of that paradigm avoid costs associated with employee turnover and have a staff of motivated, creative and productive partners who embrace the vision because they own a piece. It makes good business sense to have good theology. People move from bad leaders to good ones all the time. The best and brightest always choose leaders who create space for, and appreciate, their contribution.